Tunnels and Pipelines. 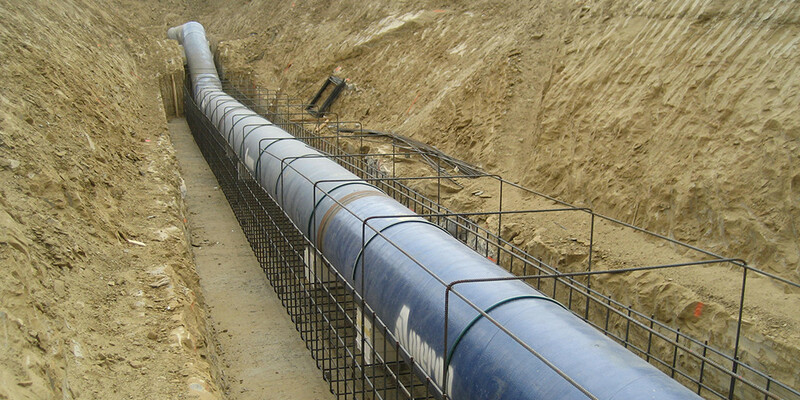 McMillen Jacobs Associates is known for our expertise in tunnel design and construction management, and engineering and construction of pipelines. We provide this service through every ground condition using industry leading technology. Our expertise to provides unique solutions to clients in clean water who face the challenge of bringing more diverse supply to the end user and wastewater clients who balance environmental compliance with NIMBY pressures. Water Supply, and Pump Stations, and Screening Systems. Our team brings extensive experience in the design of water supply and pumping systems for both raw water, groundwater, and finished water transmission. Our experience covers all phases of project development including planning, design, and construction of pump stations ranging in size from just 1 million gallons per day (mgd) up to 500 mgd serviced by medium voltage power systems. Inspection, Rehabilitation, and Repair. We provide comprehensive inspection services, from planning through design and construction of physical access and deployment of inspection teams. Every inspection includes a chief engineer, who subsequently leads development of rehabilitation and repair designs in an efficient and cost effective manner. CSO Control and Storage Structures. Drop shafts, consolidation conduits, control structures, settling chambers, and de-aeration basins are a core part of our tunnel and pipeline work. Our structures team is well versed in design of all sizes, in conditions ranging from Melbourne Australia to Ottawa Ontario. Industrial and Municipal Water Treatment. Our engineering specialists in water treatment provide our clients with planning, design and construction oversight on a variety of water treatment needs from treatment of industrial cooling tower effluent waters to groundwater treatment systems for removal of challenging contaminants, and to surface water treatment systems for municipal supply needs. McMillen Jacobs construction team has successfully constructed a number of these challenging projects over the past 10 years.